Richard Burge has launched the Wilton Park Blog today. 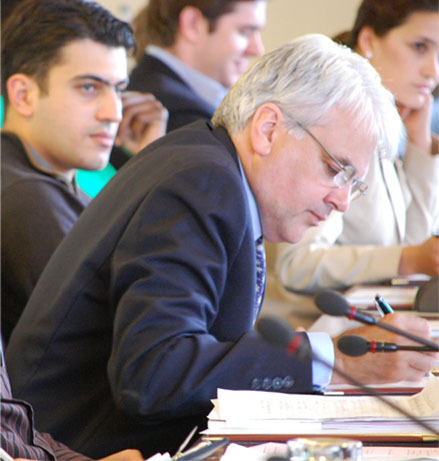 His pithy articles and personal commentaries across topical global issues will appear on the FCO website. Hot on the heels of successful regular podcasting, Wilton Park Chief Executive; Richard Burge has launched a brand new Wilton Park Blog. His weekly entries commenced today, covering an assortment of global and policy related issues. Richard Burge (above) launched the blog on 10th January and will be inviting others to contribute. All the official FCO bloggers are registered with Technorati. Selected participants and guests will also be contributing.